At Assenti Research we have been providing tailored research solutions to our clients since 2005. Our client base is eclectic including public sector, charities, blue chip companies and smaller businesses. We’re proud to say that our clients are loyal returning time and again for the quality of insight, actionable outcomes and value for money that we offer. All aspects of project design, management and reporting are carried out by Sinead Assenti so you can be sure of a senior, experienced professional at every stage. Assenti Research is a Company Partner of the Market Research Society upholding the highest standards in research design and practice. We provide a range of qualitative and quantitative research with businesses and consumers. At Assenti Research we are passionate about what we do. Sinead has been researching opinions and behaviours in Scotland for over 25 years, amassing a wealth of experience and understanding across a broad range of sectors. Sinead is supported by Ailsa who provides admin support and heads up our small team of experienced telephone interviewers and recruiters. Our approach is friendly, collaborative and flexible. 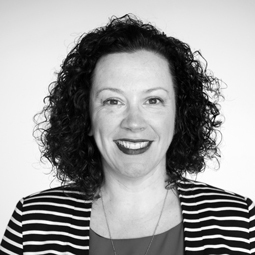 Sinead has worked in social and marketing research for over 25 years. Before starting Assenti Research Sinead held senior roles with several of Scotland’s independent research companies working across a wide range of sectors and specialisms.